Dreamgrave made quite an impression on me with their debut album, Presentiment, released back in 2014 (good grief, time flies), so I was thrilled to hear that the band had put together some new music, even if it required some line-up changes to get to that point. 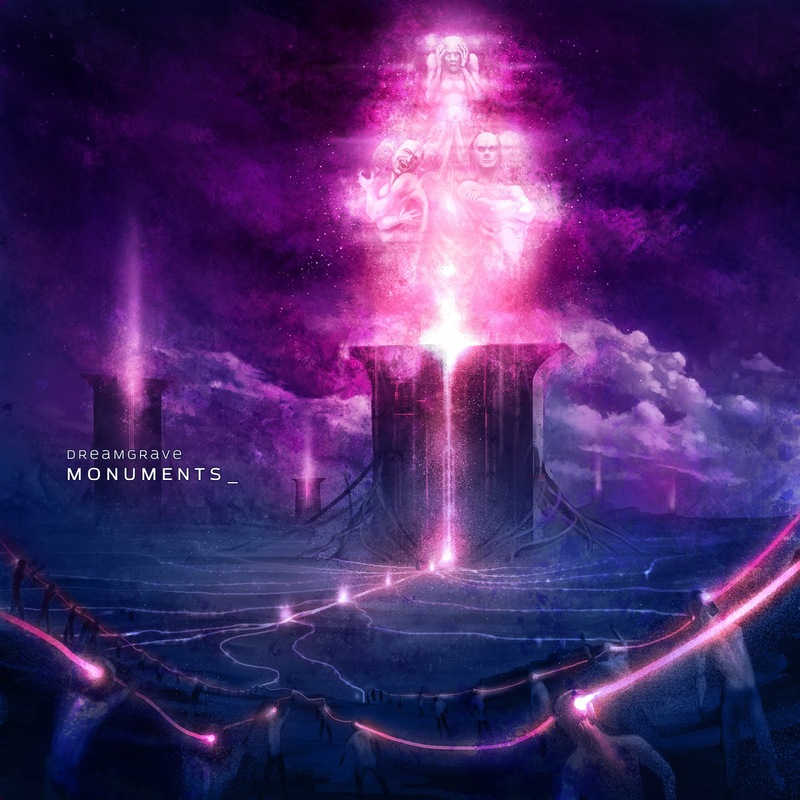 This EP, the lengthily titled Monuments I. - The Anxious, is the first in a promised series of EPs exploring thematically-linked focuses, and with the first three songs in that series, the group has set their new members into place in ways that bring their new talents to the fore without sacrificing the band's established character. The prog roots are still in place, and shown off quite thoroughly, but Dreamgrave steadily play about with incorporating other styles, ranging in tone from death metal brandishes to symphonic expansions. The fusion of the musical styles is matched by a wide spread of instrumental elements, with guitars (acoustic and electric), assorted other strings, flexible percussion, subtle atmospherics, and an impressive array of vocal approaches all coming together in service of the songs. There's more, of course, but it would take quite a few sessions with the EP to pin them all down with certainty. And while I wouldn't say that the band's emotional presentation has matured, since that would be undercutting the professionalism with which they conducted themselves on their first album, it does feel like they've widened the range of what they're sharing with their listeners, with more room for reflection. It's an EP that feels much deeper than its three-song duration would suggest, and personally, I can't wait to hear what more they have in store for us.